By understanding the human potential, we create tomorrows leaders today. 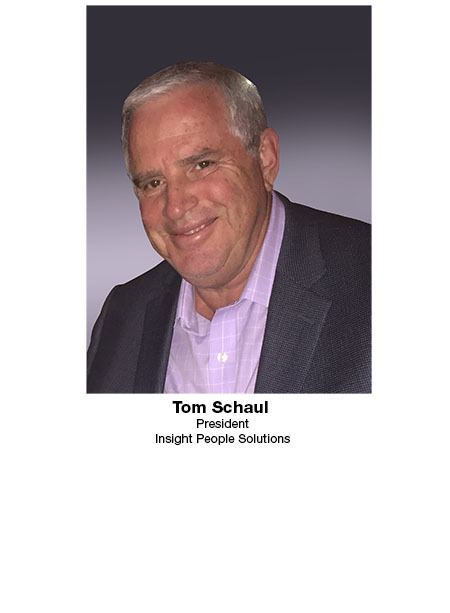 Insight People Solutions provides management with the vital and strategic data needed to make better decisions about their people. Our proven methods help organizations of all sizes to effectively recruit, evaluate, hire, place, train, manage, motivate, and develop their people to achieve their true potential. In today’s business environment successful companies identify their target customers, the time has come to use science, technology, and data to identify your target employees. Our vision is simple; improve your people, improve your productivity, improve your market share and make your company stronger than your competition. To be a trusted adviser in helping companies succeed by promoting a culture of excellence in developing extraordinary people to become inspired, creative, engaging, and compelling future leaders of their company. To develop more Top Performers with improved leadership, management, and communication skills, thus improving productivity and profitability. Do you have in place what you need to succeed in these challenging times? Let us work together to improve your greatest assets… your people! By identifying what traits our top performers had and creating a performance model to benchmark other performers, we were able to not only identify new top performers, but raise the bar for some of those that weren’t. The coaching and training reports showed us where to target our training to improve and develop some key skill sets. Asessments proved to be an invaluable tool for us in creating a dynamic team. We find them to be a vital tool in our tool box. One that should be used not only in the hiring process, but in any training and development initiatives. I found that in doing our job analysis study that we had some disconnect amongst our people with our core values. Having done that study we were able to dial in to a cohesive strategic plan that in the end cleared up a lot of our issues, and reduced our costly turnover. In doing the job analysis study and assessing what we currently had in place, it was pretty clear that we had some wrong people in customer service. Once we fixed that, with a clear vision and expectation of what we needed to do to keep our customers happy, we had a lot less complaints coming from our client services. Being in a cash business, we found that the Step One Survey really helped us find people with high integrity. Our business management solutions are designed for executives, managers, and human resource professionals, who want to not only select the right employee for the job, but retain them, enhance their performance, and build their leadership skills. Reduces costly turnover, increases productivity & profitability, retains and develops more top performers, improves employee engagement, improves communication gaps within your teams, provides strategic data for effective training, and provides key information for better management decisions. Consider for a moment that It costs approximately $4,000 just to recruit, interview, and hire one new employee. In addition to that, on average, the cost of a turnover is 3 months’ worth of wages. And most importantly, 46% of new hires fail within 18 months, and technical skills is not the primary reason. When hiring someone, you just made a significant investment within your company. You need to manage that investment properly for your company to get a return on that investment. Our strategic data will help you manage that new employee for peak performance. We have multiple reporting options to walk you through a successful on-boarding process. Do you know what makes your top performers the best at what they do? Top performers are 70% more productive than bottom performers. It is 4 times more costly to manage, train, and monitor the bottom performers. If you are challenged, burdened or frustrated with costly turnover, poor productivity, compatibility, or communication gaps within your teams, or you are just not getting the results you expect or need then you would greatly benefit from our solutions. Our solutions will not only help improve your team, but ensure increased productivity, leadership, engagement, profitability and market share. You know the value of a good investment. The more you know about your people, the better you can utilize them to positively impact your company’s financial situation. The better your people are, the better profitability you will have. Having the right people in the right positions is the first step. It doesn't make any sense to train the wrong person for the wrong job. Having the right leadership is critical for a company to be successful long term. Great leaders are not only born, but can be developed with the right process in place. Our CheckPoint System is a 360-degree leadership tool. It is used primarily to evaluate the effectiveness of your managers and leaders. This survey combines feedback from direct reports, peers, supervisors, and even customers, with a personalized program for developing specific leadership skills based on that feedback. This system helps managers identify and prioritize their own development opportunities and helps the organization to better focus their management training.. It also proactively uncovers misaligned priorities between senior executives and front-line managers by bringing to the surface management issues that could lead to low productivity, engagement, satisfaction, and retention. People typically don’t quit their companies, they quit their bosses. During times of change in an organization, such as when hiring or restructuring, it is easy to overlook culture, chemistry and personal fit, when making decisions. A lot of times communication suffers when making such decisions whether it be on an individual basis or as a team. Our Managerial Fit is a special report that utilizes data from the PXTSelect™ to measure critical aspects of compatibility between managers and their employees. This report offers an in-depth look at one’s approach to learning, as well as six critical dimensions of compatibility with their manager: self-assurance, conformity, optimism, decisiveness, self-reliance and objectivity. Managers use this information for adapting their styles in order to get the most from each employee. It will improve communication, increase engagement, satisfaction, and productivity, and reduce employee conflict and turnover. Being able to retain and develop the company's top performers is critical for a company to be successful long term. It is far more expensive and challenging to have to find new top talent than it is to keep the ones you have in place. Our CheckPoint 360°™ helps managers identify and prioritize their own development opportunities and helps the organization to better focus management training. It also proactively uncovers misaligned priorities between senior executives and front-line managers by bringing to the surface management issues that could lead to low employee productivity, morale, satisfaction, and turnover. Turning vision into a reality is a common challenge facing today’s enterprises. The CheckPoint 360° helps align managers and their bosses by identifying and comparing the six critical skills required for success in a role. This helps to identify talent, fill gaps, and improve focus, to get everyone on the same page to deliver on the organization’s strategy. Our business management solutions are designed for executives, managers and human resource professionals, who want to not only select the right employee for the job, but retain them, enhance their performance, and build their leadership skills. We offer a complete suite of assessment tools for all areas of business such as; performance management, sales performance, customer service, team building, workforce compatibility, screening & selection, leadership development, and workplace engagement. In times like this when employees are asked to do more with less, we provide you with key information to make better management decisions, resulting in better communication, engagement, and productivity. The more you know about your people, the better you can mange them to have a positive impact on your top and bottom lines. Our methods and solutions provide many benefits with an immediate financial Return on Investment back to the company. Career statistics show that the average person will make a career change approximately 5-7 times during their working life. Research also shows that when a person find the right career match, their success and satisfaction dramatically increases. Along with the PXTSelect™ , the Pathway Planner™ is an in-depth planning and personal assessment that can be used as an educational and career planning tool to discover which career possibilities best suits a person. Finding the right people to do the right jobs is key to having high productivity and low turnover. It makes no financial sense to train the wrong people, yet companies continue to do it. We can help to properly identify career choices that will enable employees to be able to learn at a comfortable pace, and excel in using their natural tendencies, and love doing the job their best suited for. If you are challenged or frustrated with retaining or hiring the wrong people, then we have a solution for you.